【1】 Liu W, Wen Y, Yu Z, et al. 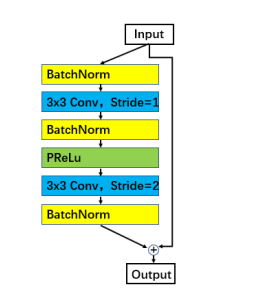 Large-Margin Softmax Loss for Convolutional Neural Networks[C]//ICML. 2016: 507-516. 【2】Liu W, Wen Y, Yu Z, et al. Sphereface: Deep hypersphere embedding for face recognition[C]//The IEEE Conference on Computer Vision and Pattern Recognition (CVPR). 2017, 1: 1. 【3】Wang F, Xiang X, Cheng J, et al. Normface: l 2 hypersphere embedding for face verification[C]//Proceedings of the 2017 ACM on Multimedia Conference. ACM, 2017: 1041-1049. 【4】Wang F, Cheng J, Liu W, et al. 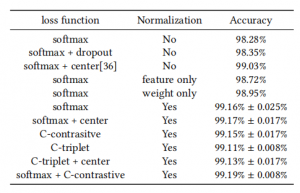 Additive margin softmax for face verification[J]. IEEE Signal Processing Letters, 2018, 25(7): 926-930. 【5】Wang H, Wang Y, Zhou Z, et al. 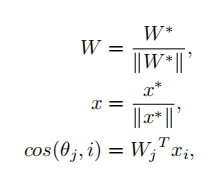 CosFace: Large margin cosine loss for deep face recognition[J]. arXiv preprint arXiv:1801.09414, 2018. 【6】Deng J, Guo J, Zafeiriou S. Arcface: Additive angular margin loss for deep face recognition[J]. arXiv preprint arXiv:1801.07698, 2018.